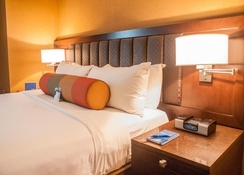 Established in 1946, the hotel and Casino Golden Nugget is a 4-star hotel that offers all the extras and highlights you could want for a stay in the desert city. Try your luck at one of the vending machines or gaming tables in the casino or meet new people in one of the hotel's seven bars. The trendy Ice Bar is quite literally an ‘oasis’ in the desert. The hotel hosts live entertainment shows on a regular basis. After an exciting evening, guests can relax by the pool sipping on some delicious cocktails. Offering over 200 rooms and suites, the hotel has something to suit everyone’s tastes and requirements. Whether you choose a comfortable double room or a luxurious suite, all rooms are generously proportioned and in the comfortable beds guests sleep well and wake up well rested for a new day. Upgraded accommodations include floor-to-ceiling windows, rainforest showers, in-room bars and fine Egyptian cotton sheets. 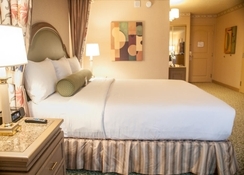 The 4-star Golden Nugget Hotel is situated on East Fremont Street, close to numerous shopping centres and restaurants. The Neon Museum, the Discovery Children's Museum and the Old Las Vegas Mormon Fort are all within easy reach of the hotel. 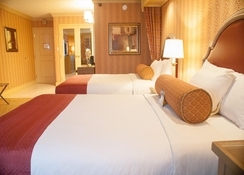 The McCarran International Airport is only 12.7km from the property. 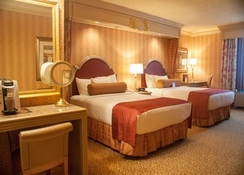 Over 2000 air-conditioned guestrooms are available at the Golden Nugget Hotel. In the rooms, guests will find an iron, a microwave, telephone, flat screen TV, safe and a fully equipped bathroom. 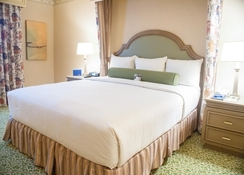 Disabled-accessible rooms are available if needed. Golden Nugget's nine top-class restaurants take you on a culinary journey around the world. From the romantic Italian restaurant, over American and Mexican cuisine, to exotic, Asian specialties, almost every cuisine is represented here. Be inspired by your taste or try a different restaurant every day. If sport or any physical activity is part of your daily routine, the fitness area of ​​this luxury hotel is the place for you. Featuring modern equipment for targeted muscle and endurance training, this is one of the best fitness centres you’ll ever visit. If you do not want to sweat too much, you can also pull a few laps in the pool. Do you dream of being pampered? 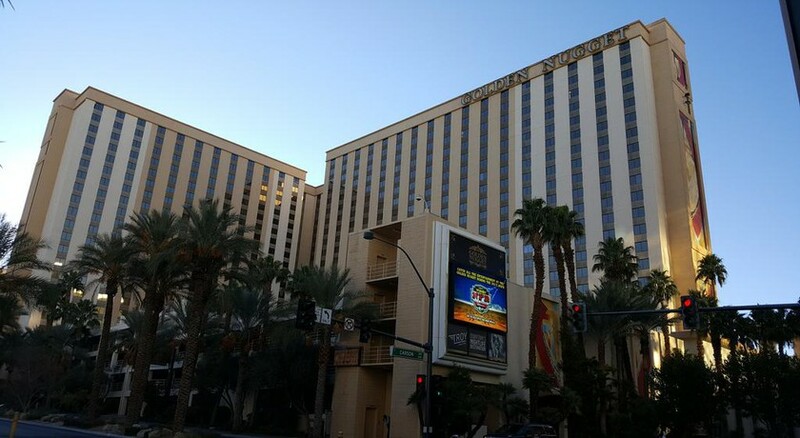 Then visit the spa of the Golden Nugget and truly relax and rejuvenate. The spa offers various massages, such as aromatic and sports massages and beauty treatments. 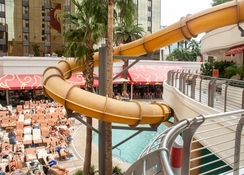 The Hideout pool area offers relaxation areas with comfortable loungers, while The Tank Pool also offers waterfalls, slides and even the option to swim with real sea creatures.